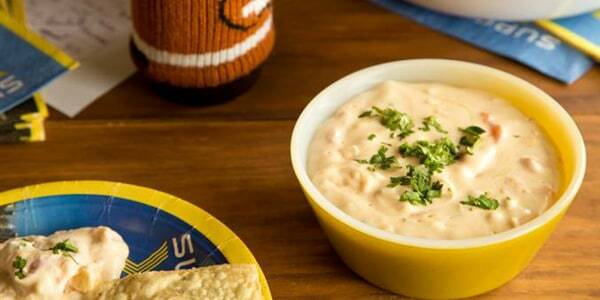 Hot queso dip is like a blanket for our soul, and now Chipotle is making that cheesy comfort accessible to us all. On Tuesday, the Mexican Grill started offering its very own version of queso dip, which it had been testing out in its public-facing test kitchen NEXT in New York City earlier this summer. After soliciting customer feedback and making some tweaks, the Mexican grill chain's hot bubbling queso was initially rolled out to 350 locations in Colorado and California. Now, it's finally ready for the masses. Plenty of customers were overjoyed by the burrito chain's new menu addition. But plenty of first time-tasters were also pretty disappointed by the cheesy offering. For many food lovers, there’s nothing quite as satisfying as ooey, gooey, melted cheese. Even the lactose-intolerant among us (ahem, me) will suffer the consequences because, well, it’s worth it. And apparently most people agree. Chipotle CEO and founder Steve Ellis said it’s been one of the most requested product from customers since its limited launch. “Although queso was the number one requested menu item, we never added it to our menu before now because we wouldn’t use the industrial additives used in most quesos,” Ellis said in a statement. TODAY staffers got our hands on the dip during its preview run this summer and gave the queso a taste. While it has a slightly grainier texture compared to traditional quesos, it was still spicy and delicious. And because it lacks artificial ingredients, the flavor profile may be slightly different depending on the location. “Our queso may vary slightly depending on the characteristics of the aged cheddar cheese used in each batch, but using only real ingredients is what makes our food so delicious,” Ellis said. Customers can add queso to their entrees, or get it as a small or large side order with chips. Prices depend on location, but will range from $1.25 for an add-on to $5.25 for a large side order. Move over, side of guac. Your reign may be coming to an end! A version of this story was originally published Sept. 6, 2017.